“Waiting for Neelkanth and Other Stories” is a collection of twelve short stories relating to universal human suffering at the personal, social and psychological levels. Dr. Neena Gupta, Asst. Prof., Department of English, Central University of Jammu, presented a brief review of the book on the occasion. Governor suggested to Prof. M.H. Zafar, Centre for Comparative Religion and Civilizations, CUJ, to take up compilation of scattered Kashmiri literature to preserve this valuable literary heritage for the future generations. Prof. Ashok Aima, Vice Chancellor of Central University of Jammu; Prof. S K Sharma, Swami Vivekananda Chair, CUJ; Prof. Lalit Mangotra, writer, critic and Convenor, Sahitya Akademi Dogri Advisory Board; M K Sharma, Principal District & Sessions Judge, Bhaderwah; Prof. M.H. Zafar, CUJ; Dr. Amrinder Aman, Addl. 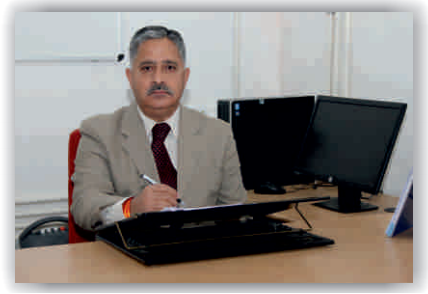 Secretary JKAAL; Ajay Sharma, Architect and son of Sh. 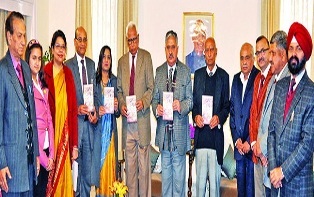 Madan Mohan; Har Gopal Sharma; Yogita Yadav, journalist and writer, were present on the occasion.